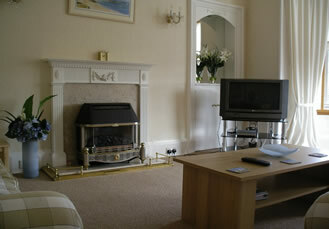 This holiday flat is located close to the beach on the west side of the town.The town of North Berwick itself has something to suit everyone- whatever their age. There is a local harbour and yacht club, beautiful sandy beaches and boat trips available around the impressive Bass Rock. Or you can view the bird-life and nesting birds on the Bass Rock from dry land from The Scottish Seabird Centre nearby which is well worth a visit. 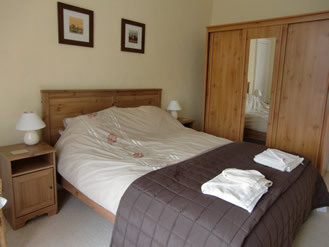 The spectacular scenery can be enjoyed on relaxing coastal walks or from the top of the Law Hill which is only a short 20 minute walk away from this beautiful self-catering appartment and well worth the climb for the fantastic views over 360 degrees around East Lothian. 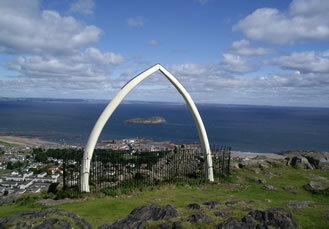 The town has a variety of shops, restaurants and other eating establishments to suit all tastes; a sports centre and heated indoor swimming pool; tennis and putting greens; 2 golf courses (The Glen East links and North Berwick West golf course) parkland with an aviary and children’s outdoor play area and a boating pond on the beach. The railway station in the town provides a regular service to central Edinburgh for day trips to the city without the hastle of parking the car. There are also Nature Reserves further along the coast at St Abbs Head, John Muir Country Park by Dunbar and Aberlady Bay. Walkers should check out the John Muir Way which was widely publicised when opened in 2014. Riding, fishing, archery and off road driving are also available within the local area and over 20 golf courses, to suit all abilities, can be found within a 20 mile radius of the town. The Museum of Flight, which includes the Concorde Exhibition, is also within a ½ hour’s drive. ‘Nisbet Holiday Lets’ is not responsible for the content of these external websites.